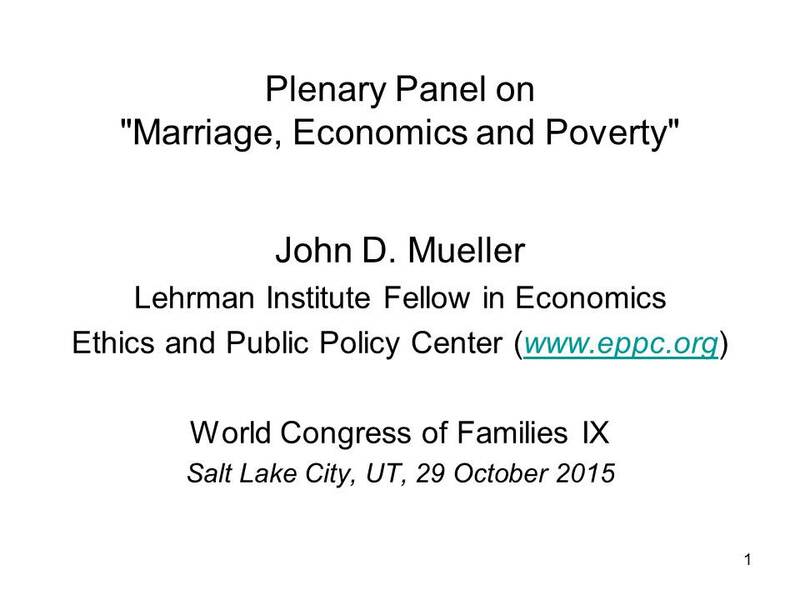 I’m pleased to moderate this high-powered panel on “Marriage, Economics and Poverty.” Our panelists have degrees in psychology, social policy, sociology and family studies; I am an economist. Though George J. Stigler of the University of Chicago styled economics “the imperial science,” it began in fact and always will be a colony of moral philosophy. To lay my own cards on the table, I oppose counsels of despair. Those who fear that marriage is going irretrievably to hell in a handbasket, I would caution against the WYSIATI fallacy: that What You See Is All There Is (WYSIATI). For example, illegitimacy has risen from less than 4% in 1940 to more than 40% of all American births. 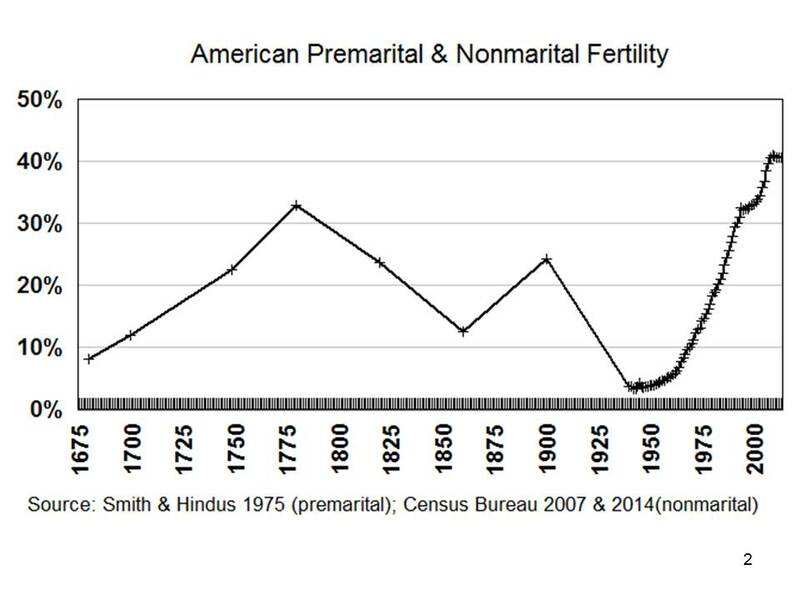 Yet data back to colonial times show that American marriage went to hell in a handbasket several times before: pre- or extramarital conceptions were about one-quarter in 1900 (the same level they reached in 1986), and nearly a third in 1776. I don’t claim that another Great Awakening, like the one I was blessed to be born in, is inevitable; but I do claim that the handbasket is not. In the earlier concurrent panel on the costs of family breakdown, I extended the analysis in my book, Redeeming Economics, to argue that legal abortion is the main cause of family breakdown, not only in the United States but in the world, including specifically the rise in rates of divorce, illegitimacy and crime, and entry of most developed nations–now including the United States–into “demographic winter.” As Ronald Reagan once remarked, there are simple solutions, just not always easy solutions. I also noted Pope Francis’ rejection of what he calls “gender ideology.” What exactly is gender ideology? 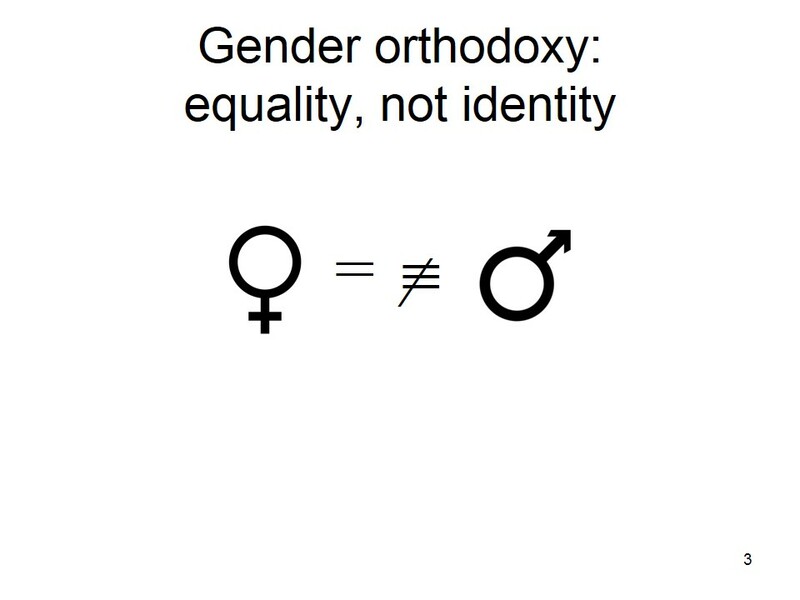 Well, an ideology is not merely the philosophy of someone we disagree with; ideology, in Hannah Arendt’s lapidary phrase, is a worldview that requires its adherents to create a “fictitious world.” The fictitious world of gender ideology is one in which men and women are not only equal but identical. 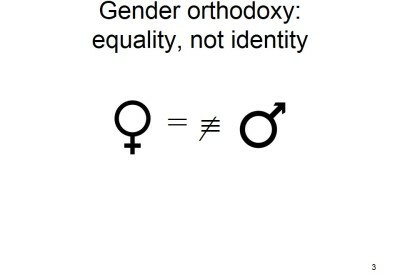 Gender orthodoxy recognizes that men and women are equal but complementary, not identical. I was struck by the pervasiveness of gender ideology when researching the work of the late, great Gary S. Becker. Becker’s theory was designed to apply equally to homosexual and heterosexual relationships. As he wrote in an article with Nigel Tomes that Becker incorporated into his book A Treatise on the Family, Becker’s theory “assume[s] that children…are produced without mating, or asexually …. each person, in effect, then mates with his own image.” That’s gender ideology. Since our panel includes three of the leading scholars in the world on these subjects, I view my role here as merely facilitating their presentations and discussion, and don’t plan to use the full 10 minutes Janice Crouse allotted me. Dr. Pat Fagan is Director of the Marriage and Religion Research Institute (MARRI), a Family Research Council project. Growing up in Ireland, Fagan taught grade school in Cork, was a psychotherapist in Canada and earned his Ph.D. at University College, Dublin. He moved in 1985 from the clinical world into public policy and discourse: first at the Free Congress Foundation under Paul Weyrich; then the staff of Senator Dan Coats of Indiana; Deputy Assistant Secretary for Family and Community Policy at HHS under President George H.W. Bush; followed by 13 years as Senior Fellow in family and culture issues at the Heritage Foundation. I find MARRI a tremendous resource in generating and disseminating innovative, sound and usable social science on the family. W. Bradford Wilcox is Director of the National Marriage Project at the University of Virginia, Associate Professor of Sociology at UVa, Visiting Scholar at the American Enterprise Institute, and a Senior Fellow at the Institute for Family Studies. His latest work with Nicholas Wolfinger, Soul Mates (2015), shines a much-needed spotlight on the lives of strong and happy black and Latino couples. He coauthored the earlier pathbreaking works Gender and Parenthood: Biological and Social Scientific Perspectives (2013), Whither the Child? 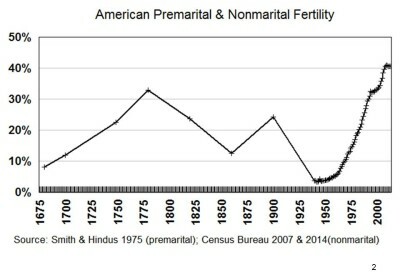 : Causes and Consequences of Low Fertility (2013), and Soft Patriarchs, New Men: How Christianity Shapes Fathers and Husbands (2004). Our panelists also warned against crude deterministic explanations that don’t hold water. In outlining the Knot Yet report, Dr. Jason Carroll similarly warned against marriage preparation paradoxes: oversimplistic formulae that, starting from apparently plausible premises, lead to absurd results. He specifically exploded the “cohabitation ‘test drive’ paradox” and the “sowing wild oats to ‘get it out of your system’ paradox” — both of which had purported to strengthen couples’ relationships but in fact have led to higher rates of dissolution. He also showed that the grain of truth in the “older is better” theory is limited, since the advantages of delayed marriage in reducing the probability of divorce dwindle sharply by about age 23, and the latest data show a trend toward rising divorce later in life. Hannah Arendt, The Origins of Totalitarianism, Allen & Unwin, London, 1967, 438. Gary S. Becker and Nigel Tomes, “An Equilibrium Theory of the Distribution of Income and Intergenerational Mobility,” The Journal of Political Economy 87:6 (December 1979): 1153–89; reprinted in Gary S. Becker, A Treatise on the Family, enlarged edition (Cambridge, MA: Harvard University Press, 1991 ), 201-37, 203. 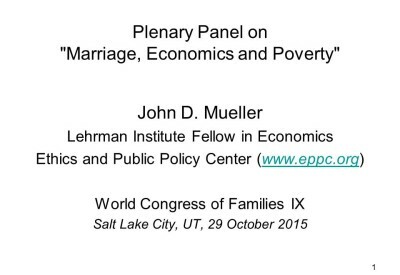 Pat Fagan, “Marriage and Religious Faithfulness,” Ninth World Congress of Families, Salt Lake City, 29 October 2015. Kay Hymowitz, Jason S. Carroll, W. Bradford Wilcox and Kelleen Kaye, Knot Yet: The Benefits and Costs of Delayed Marriage in America, National Campaign to Prevent Teen and Unplanned Pregnancy, the National Marriage Project at the University of Virginia, and the RELATE Institute, 2015.